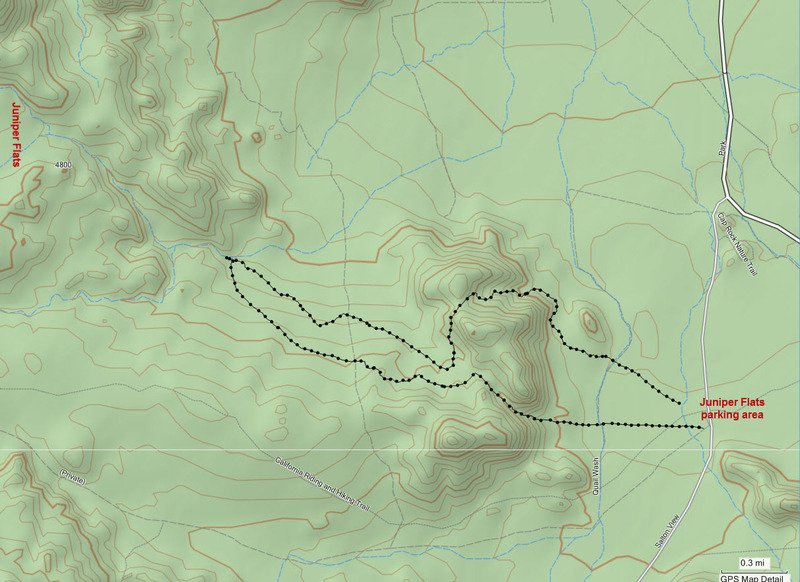 Rationale for searching this area: Filling in last remaining gaps in ground coverage between the Juniper Flats trailhead and the area to the west. Impressions of area and findings: Generally open terrain with areas of very large junipers. This appears to have completed our searching of the area between the Juniper Flat trailhead and Juniper Flats. Also the hills to the west have been adequately covered.